#FIBAOQT Final 12: Gilas Pilipinas lineup for 2016 FIBA Olympic Qualifying Tournament - Balita Boss! Gilas Pilipinas 12-man roster is set for the 2016 FIBA Olympic Qualifying Tournament. 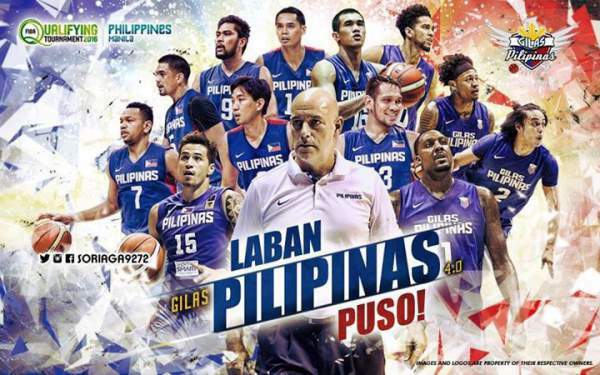 The final lineup of Philippines men's national basketball team was revealed during a TV5 special on Sunday evening, June 26. Philippines has been grouped with France and New Zealand. Canada, Senegal and Turkey round out the six-country field for the July 5-10 tournament. The winner of tournament will qualify to the 2016 Rio Olympics. The 2016 Olympic Games will be held Auggust 5-21 in Rio de Janeiro, Brazil. A total of 12 nations will compete in the Olympic men’s basketball competition.